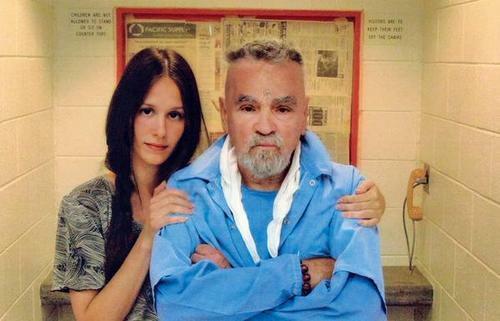 Last year, Charles Manson was in the news briefly when it was announced that he was engaged to be married to 20-something Afton Elaine Burton and we were all like oh happy day for Charles Manson. But in a bizarre twist, it turns out that Burton only agreed to marry Manson as part of a scheme to make money off the crazy man’s corpse when he died, but putting his body in a glass display case. Happy (upcoming) Valentine’s Day! "pain’s not bad, it’s good. it teaches you things."